SINCE 1974 WE'VE OFFERED TOP QUALITY VEHICLES WITH UNMATCHED CUSTOMER SERVICE. LOADED UP S-LINE COMPETITION, TECHNOLOGY PACKAGE, SPORT PACKAGE, THIS IS SPORT AND LUXURY ALL BUNDLED UP INTO ONE AMAZING SEDAN. THE COMBINATION OF COMFORT AND POWER IS INCREDIBLE. SUCH A SMOOTH RIDE WITH SUCH STYLE AND GRACE. 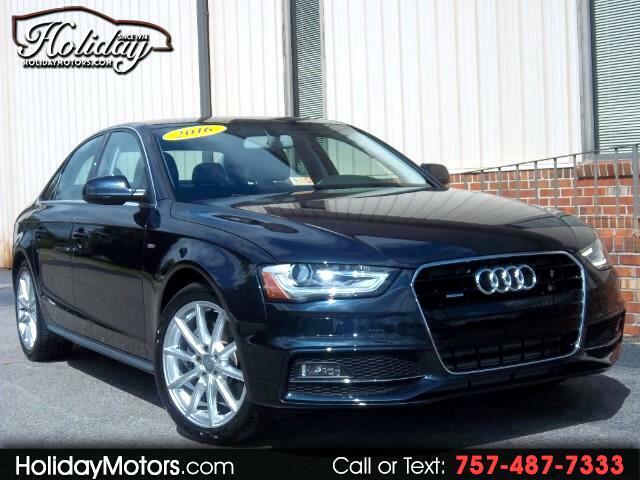 PRICED THOUSANDS UNDER BOOK SO HURRY IN TO SEE THIS BEAUTIFUL A4 BEFORE YOU MISS THIS GREAT BUY!